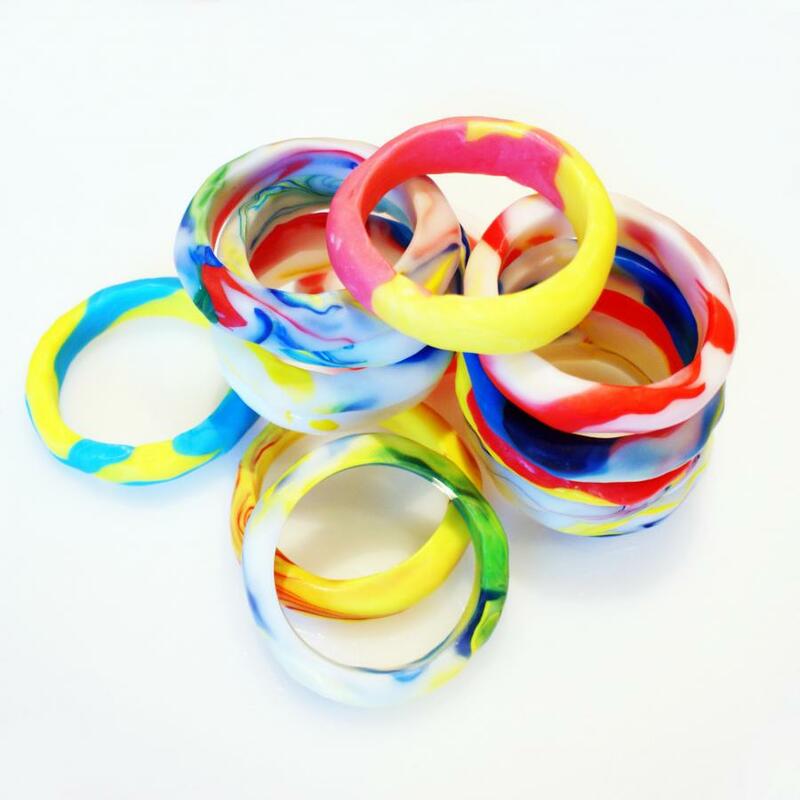 Dale Hardiman used the Plastimake Colouring Kit to create these cute bangles. 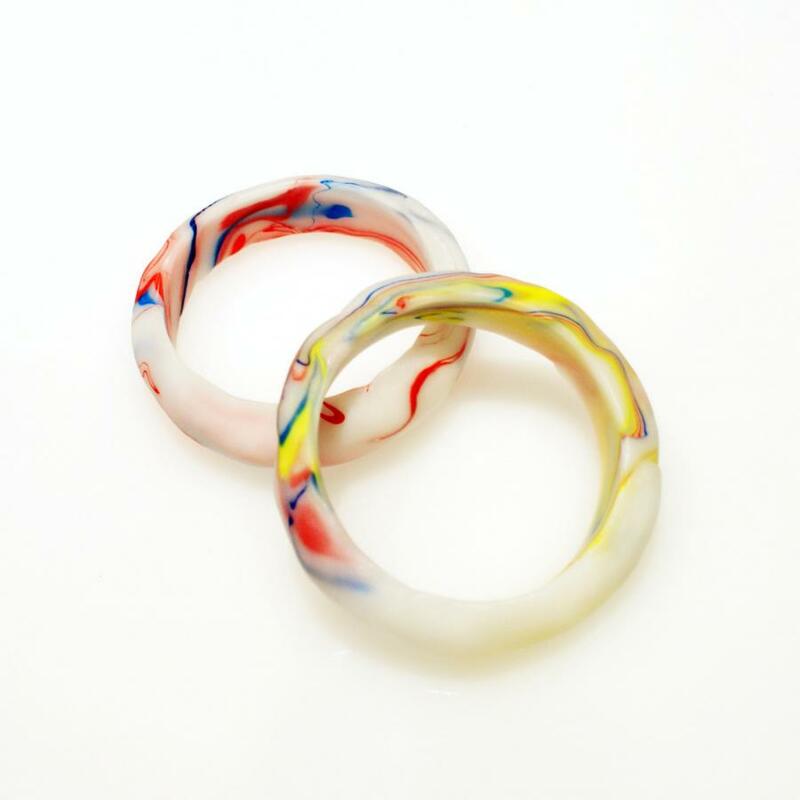 To make your own bangles like these, form Plastimake around a bottle or jar that's as wide as your wrist. This simple technique will make it much easier to achieve a nice round shape. You can make Plastimake rings using the same technique, just find a small cylindrical object that's as wide as your finger.